How do I get free publicity for my small business? How do I get in the media / on the news? How do I get free advertising? 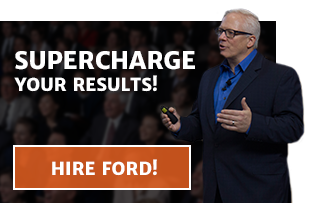 I’ve been finding my way into newsrooms across the country for over three decades and I knows the strategies it takes to become a sought-after expert in your field. Someone reporters call when they need a good soundbite on a story. You can become a thought-leader too! 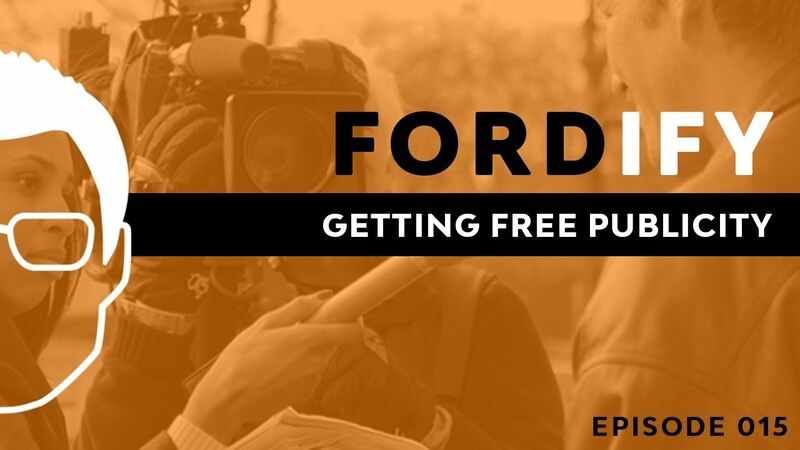 Just watch and learn from this week’s episode on getting free publicity or read the post below. I had a quick choice. I could either just answer a couple of questions for him, or leverage it into doing a remote. Of course, I went for the latter. 20 minutes later he’s in my office. We do a quick 20-minute interview for the six o’clock news and off he goes. Now during that interview, I was actually able to give him great content, build a relationship with a local news TV personality and also seed the interview with my expertise. So I was able to add value, but I was also able to seed the media into it. Now how did they find me? They found me because of my digital footprint. You see, I was prepared for the opportunity. It’s better to be prepared for an opportunity and not have one, then have an opportunity and not be prepared. You can either be reactive, or proactive. Now in the story I told you earlier, I was reactive. ABC news called me about being a guest and I was prepared so I could jump on that opportunity. You also need to be prepared so you can jump on it. So anybody who calls you in the media, you need to become a great guest and build those relationships so that when they have stories, they know who to reach out to. You can react, but more importantly, I want you to be proactive in getting free publicity. To be proactive, the first thing you need to do is make a list of your top 25 media sources that you want to be interviewed on. TV, radio, print, blogs, satellite radio, where do you want to be visible? Then I want you to develop your story angles, topics and talking points. Actually sit down and make a list. What story angles could I come up with? What are the topics that I can speak about, and what are some key talking points? Once you have those I want you to put them into a document, some might call it a media kit. This makes it really easy for media professionals to understand what topics that they can interview you about. Put that content on your website and also make sure that it’s a PDF. This way people can download it from your website, but you can also solicit it out to the news media. This is my news and media section on my speaker site so you can get an example of what a media page would look like. So now that you’ve prepared. You know the 25 or so sources that you want to be on. You’ve prepared your media kit. Let’s talk about how you put together your media release. It used to be called a news release. Whether you call it a news release, a media release, it doesn’t matter, but you need to have one. You also need to create a pitch. Now the pitch is, what are you going to say when you talk to the news desk? Or what are you going to write in your email or whatever method you’re using to communicate? When you solicit or pitch yourself to the media, I want you to remember that you need to be more of a generalized expert. For example, when I’m pitching the media, I say, “I’m Ford Seaks, I’m a business expert and I’ve got three tips on…then I tell them what the topic is. I don’t say, “Hi I’m Ford Seaks, author of the book Super Power and blah blah blah.” They don’t care about me. They don’t care about you. All they care about is adding value to their listeners, viewers or readers. Alright, now that you’re prepared, start paying attention to the news in your specific industry. Just look at what’s on TV. I don’t want you to waste your time, but I want you to look at the news differently. Look for ways that you can be a featured guest or a guest expert. This works for all different types of businesses. I don’t care if you’re a handy man, a doctor, a dentist, a lawyer, a retail store, or a manufacturer. There are always ways that you can position yourself and your company, as experts. I want you to consider the different angles that the story could take. Then just contact the news personnel by phone, by email, or even through a message on LinkedIn. Focus on adding value to the viewers, listeners or readers. Don’t sell. Make sure that you add value, because the more value you add, the more often that the news source is going to come back to you over and over again. It’s not when it runs that’s important. So, when the story ran on KAKE news, it didn’t matter who was watching. It’s how you repurpose it. I put the interview on my media page. I’m going to add it to my media kit. I’m going to be able to use photos of it that helps show me as an expert. I’m going to share it on social media. So again, It’s not when your story, print, or media runs, or even when they interview you. It’s how you repurpose it and how you repackage it. So here are your action steps: I want you to go meet with your team and brainstorm all of the media ideas and story angles that you can come up related to your products, your services, and your industry. Then I want you to make getting free publicity a natural part of your marketing efforts. Make it a point to look for topical events that you could leverage. Posted on September 7, 2017 in Marketing by Ford Saeks.